The Peregrine Falcon has a body length of 34 to 58 centimetres (13–23 in) and a wingspan from 74 to 120 centimetres (29–47 in). The male and female have similar markings and plumage, but as in many birds of prey the Peregrine Falcon displays marked reverse sexual dimorphism in size, with the female measuring up to 30% larger than the male. Males weigh 424 to 750 grams (0.93–1.7 lb) and the noticeably larger females weigh 910 to 1,500 grams (2.0–3.3 lb). The standard linear measurements of Peregrines are: the wing chord measures 26.5–39 cm (10.4–15 in), the tail measures 13–19 cm (5.1–7.5 in) and the tarsus measures 4.5 to 5.6 cm (1.8 to 2.2 in). The Peregrine Falcon (Falco peregrinus), also known as the Peregrine, and historically as the Duck Hawk in North America, is a widespread bird of prey in the family Falconidae. A large, crow-sized falcon, it has a blue-grey back, barred white underparts, and a black head and “moustache”. As is typical of bird-eating raptors, Peregrine Falcons are sexually dimorphic, females being considerably larger than males. The Peregrine is renowned for its speed, reaching over 322 km/h (200 mph) during its characteristic hunting stoop (high speed dive), making it the fastest member of the animal kingdom. 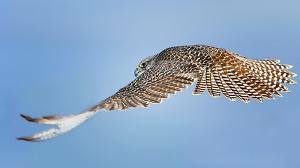 According to a National Geographic program, the highest measured speed of a Peregrine Falcon is 389 km/h (242 mph).